My windows are open and the weather is gorgeous – it’s got me thinking Spring! 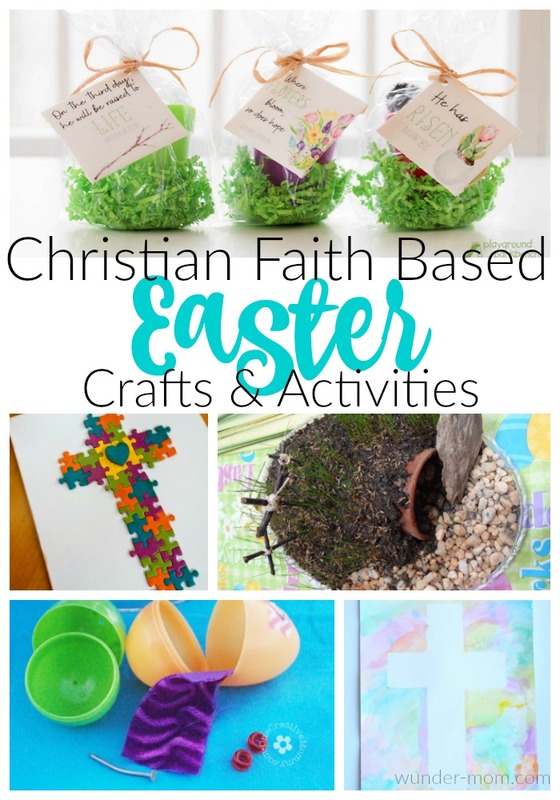 Nothing says Spring like Easter and bright watercolor art so we decided to put the two together and make a Tape Resist Watercolor Cross. 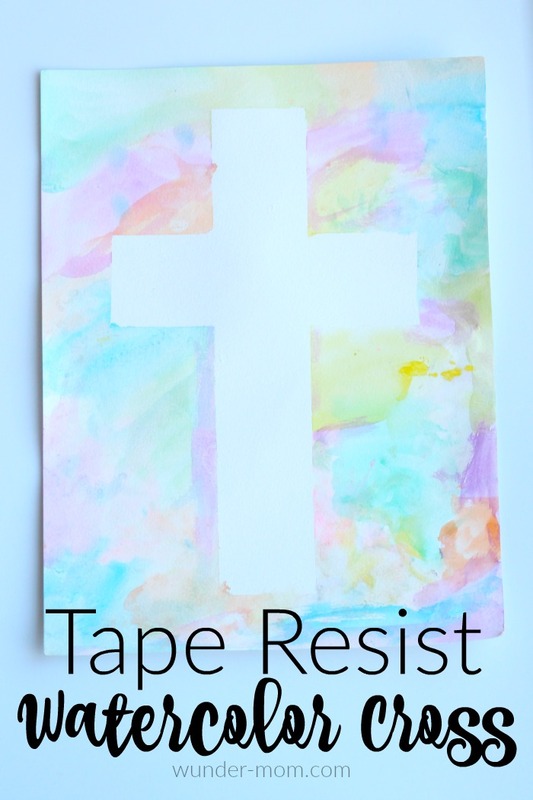 I love tape resist art, it is so perfect for any age. 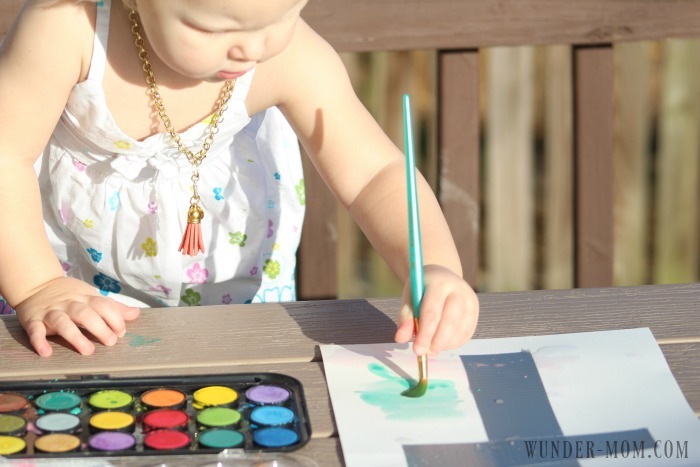 Toddlers especially love this and can paint away to their hearts desire. I recently bought a watercolor pallet set for my children, and I must admit we have all been loving it. The vivid hues and the way the watercolor blends together so perfectly is just gorgeous! 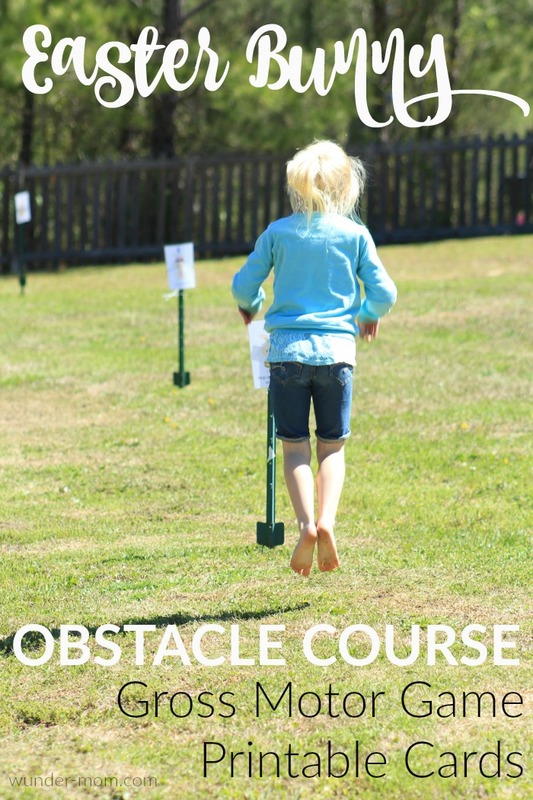 My children range in age from 1 to 10 so finding projects suitable for all of them to do together is often a challenge. 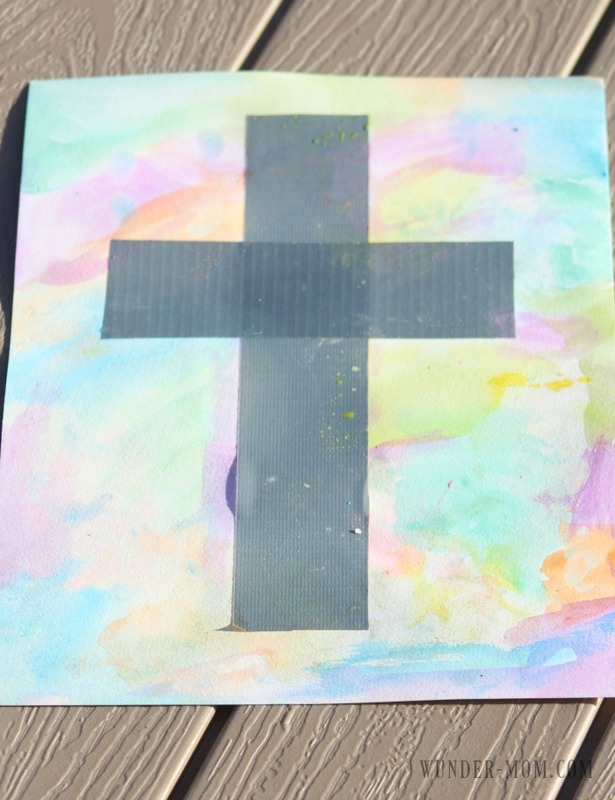 This tape resist watercolor cross is great because the older children can get more creative with the pallet they choose to use, even replicating a sunset in the background, and the little ones can participate because it is process art – there is no right or wrong way to paint! Isn’t that so pretty? Now I just have to find where to hang four of these in my house! Set up for this kids art project is very simple. You will need Watercolor Paper, Tape, and Watercolors. I always set them up with a large glass of water and a few paper towels to rinse and dry between colors. When your paper is prepared, let their imaginations get to work! 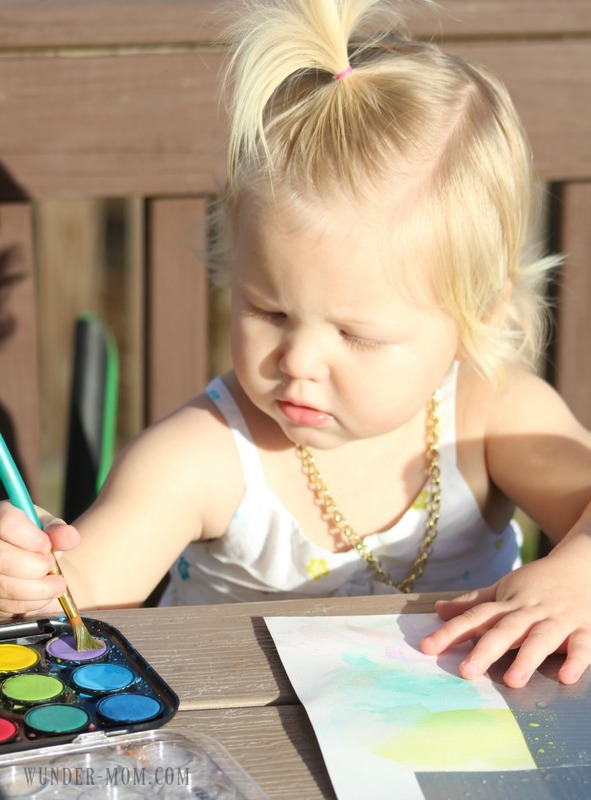 My toddler really loves painting – mixing and swirling – she could go on like this forever! 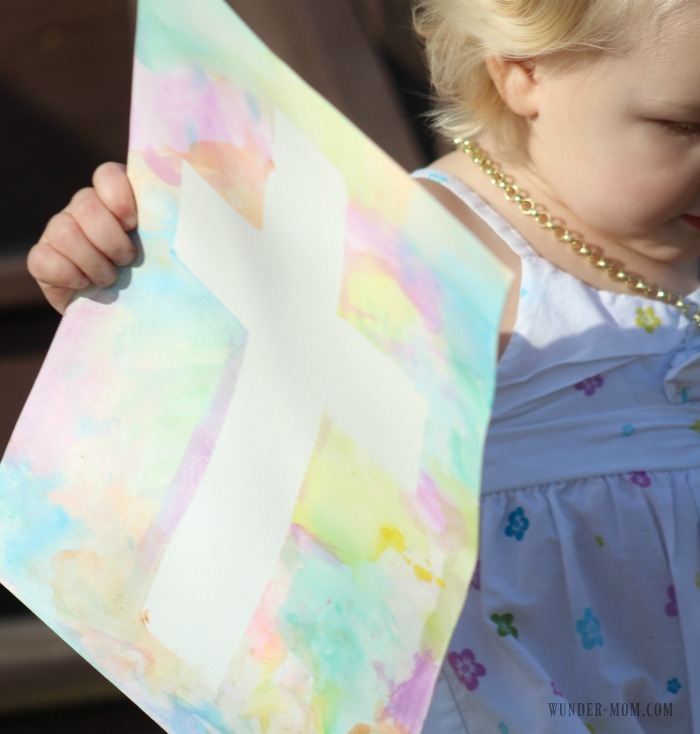 This is a great first project to introduce painting to the little ones. I don’t give any direction for this artwork, just one suggestion – fill the entire paper. Don’t leave any white spaces because when you peel off the tape that space will be the color of the paper. 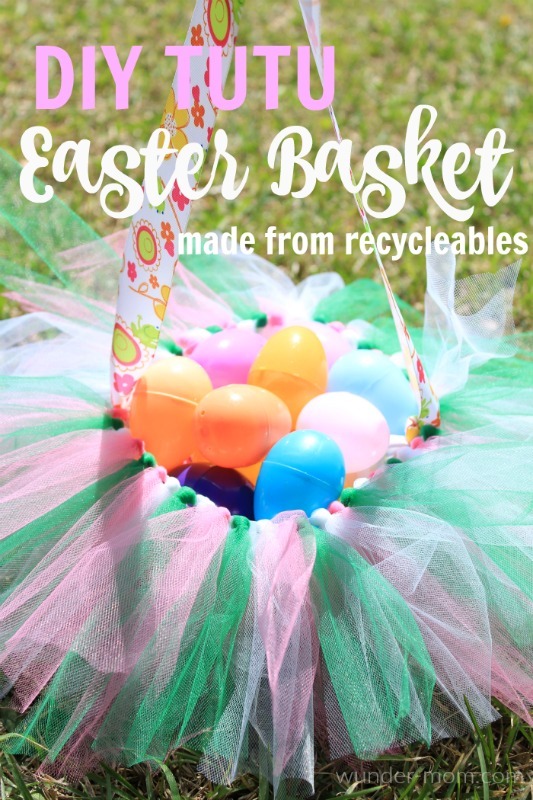 Such a simple project can turn out so beautiful! 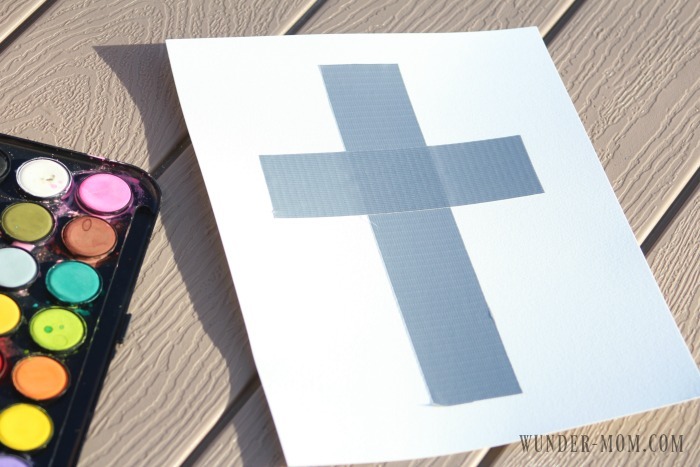 When the pain has dried completely, remove the tape to reveal your artwork! 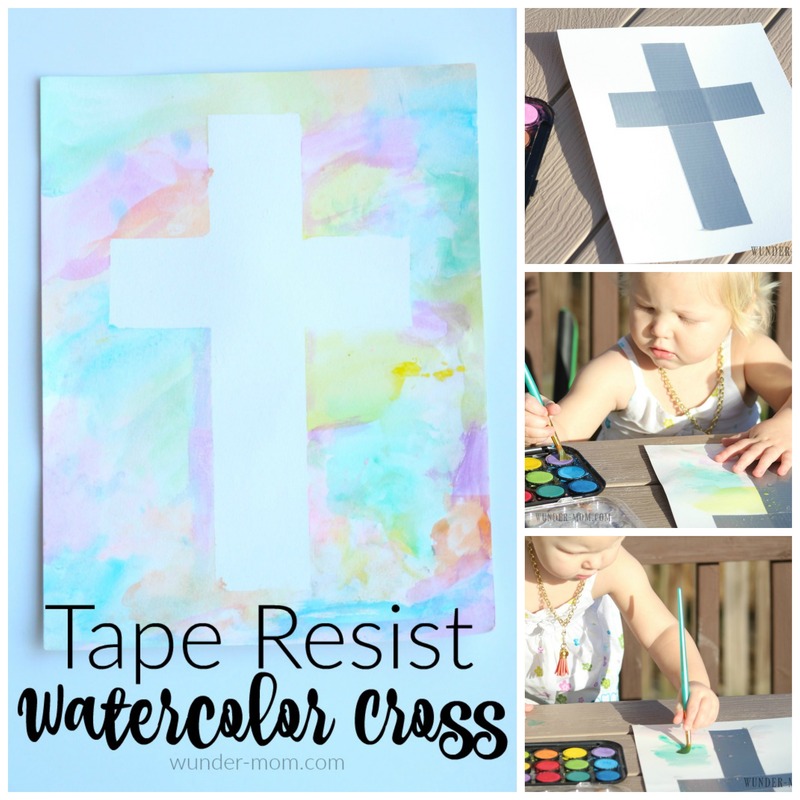 You can use the tape resist process with any design you would like but we especially loved this cross painting with watercolor for an Easter art project. This looks like Duct Tape- is that what you used? How do you keep the painters tape from tearing the paper when you remove it? Beautiful! Would you care to share what brand of watercolors you have?